Kristine Rekdal has extensive experience in general and strategic patent counselling, patent drafting and prosecution, clearance and IP analysis, including due diligence and freedom-to-operate opinions, patent oppositions, administrative limitation and revocation proceedings, infringement analyses and proceedings, and advising in patent litigation. Ms Rekdal also conducts patent searches and patent landscape analysis. She is experienced in advising on design. She represents clients before the Norwegian Industrial Property Office, the European Patent Office and Patent Cooperation Treaty authorities. Ms Rekdal advises national and international clients in particular within the oil and gas, information technology, physics, electronics, biophysics and optics sectors. She has extensive experience in advising start-up businesses and research organisations. Ms Rekdal began her career as an examiner at the Norwegian Industrial Property Office in 1995 and subsequently became head of electronics and construction in the patent department. She has also been in charge of database searches for the Norwegian Industrial Property Office patent department. 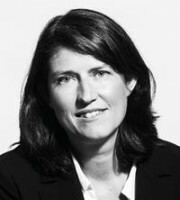 Ms Rekdal joined Bryn Aarflot in 1998 and has been a partner at the firm since 2005. Ms Rekdal has regularly been elected as an IP Star and listed among the top 250 women in intellectual property by Managing Intellectual Property – she was one of only four Norwegian women in 2017.